An adhesion primer can be used for its bonding properties rather than by acid etching in to the surface. 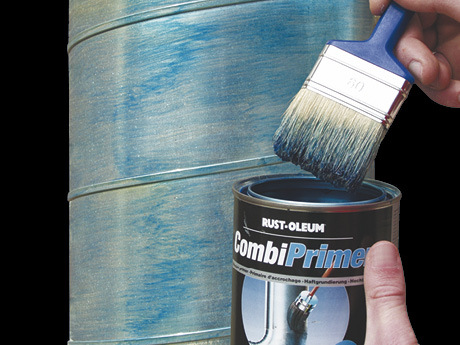 There are a variety of adhesion primers dependant on the substrate you are working with such as: concrete, glass, porcelain, most plastics, and other smooth surfaces, galvanizing, stainless steel, aluminium, copper etc. For more information please reference the data and safety data sheets for the particular product.